Fang’s vision for automated and personal shopping assistance drove her to create Linc, the industry-leading Customer Care Automation platform. Prior to this, she co-founded a company that was sold to Amazon, after earning a PhD and working in the finance industry. 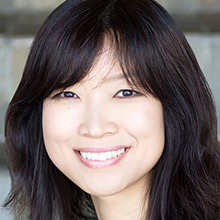 At Linc, she is a champion for customer experience and the seamless integration of brands into shoppers’ lives, and works closely with product, design, engineering and customer success teams to give brands the personal, anywhere, real-time connection they need with their customers.